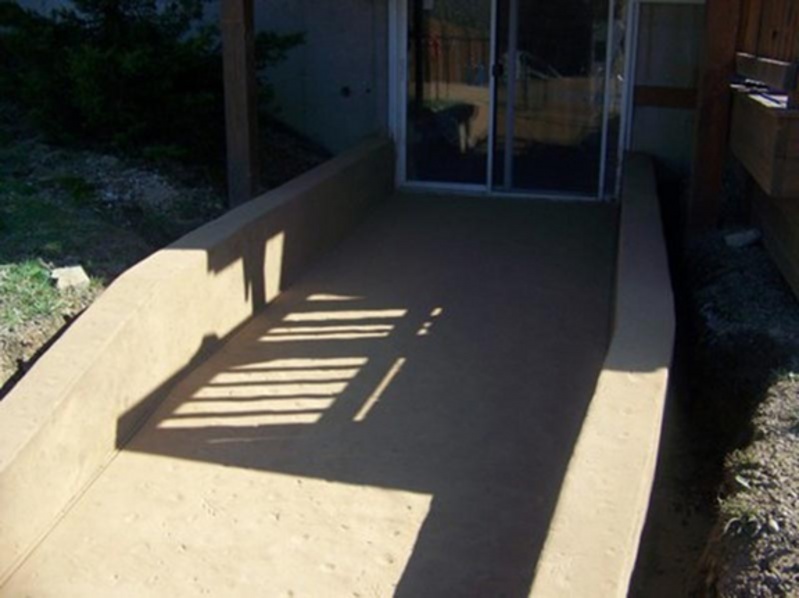 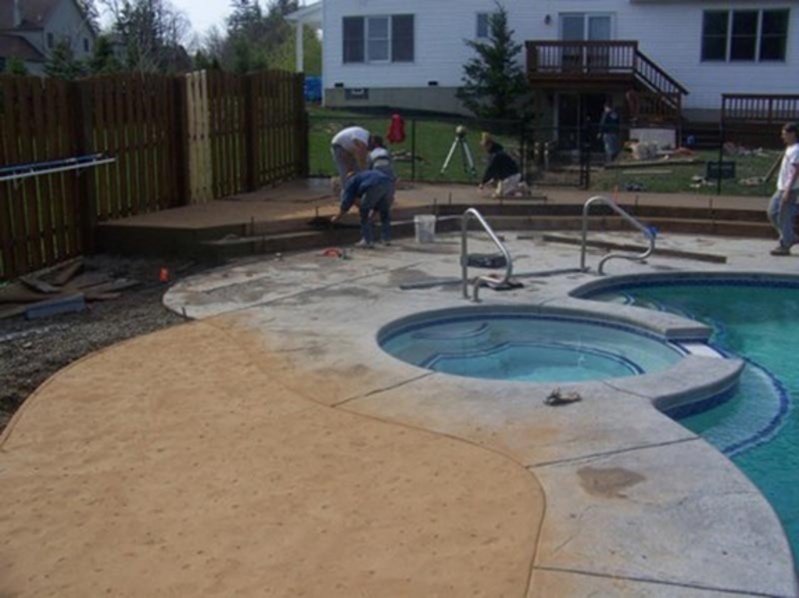 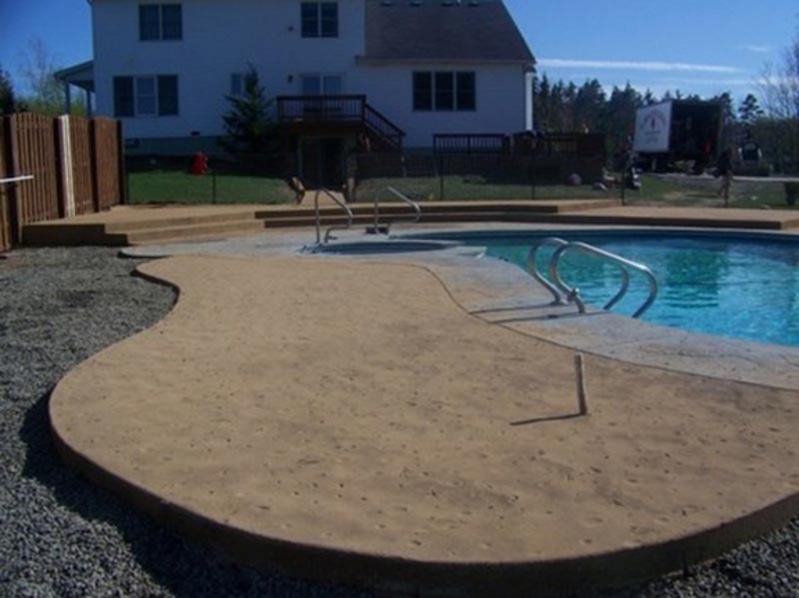 Decorative Stamped Pool deck using seashell stamp for "beach" look in combination with granite stamp for patio deck. 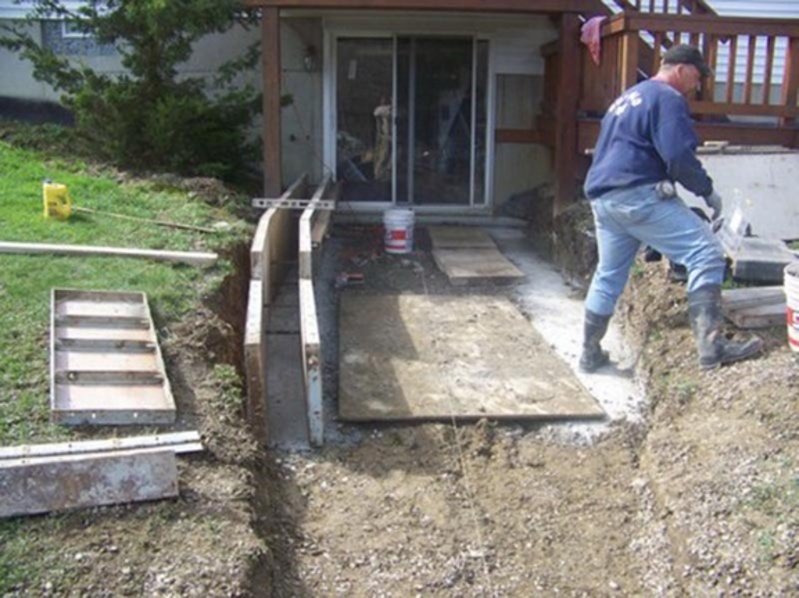 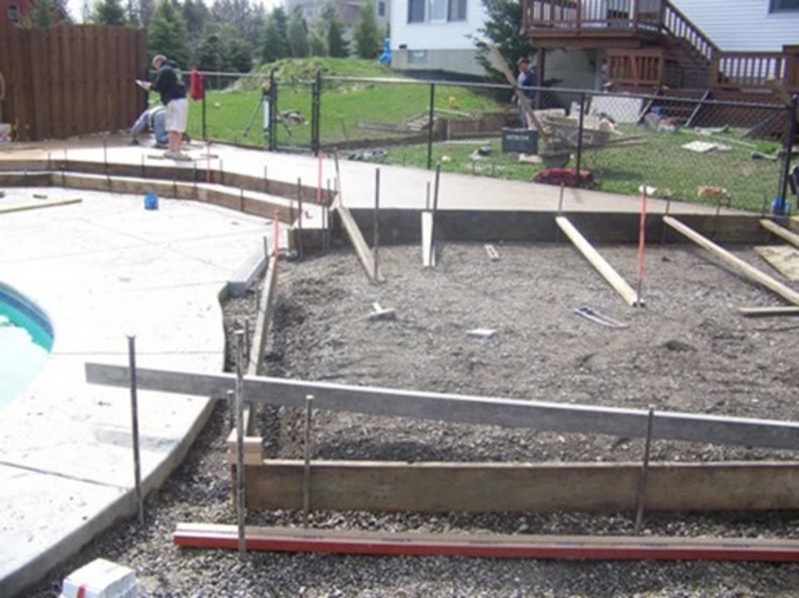 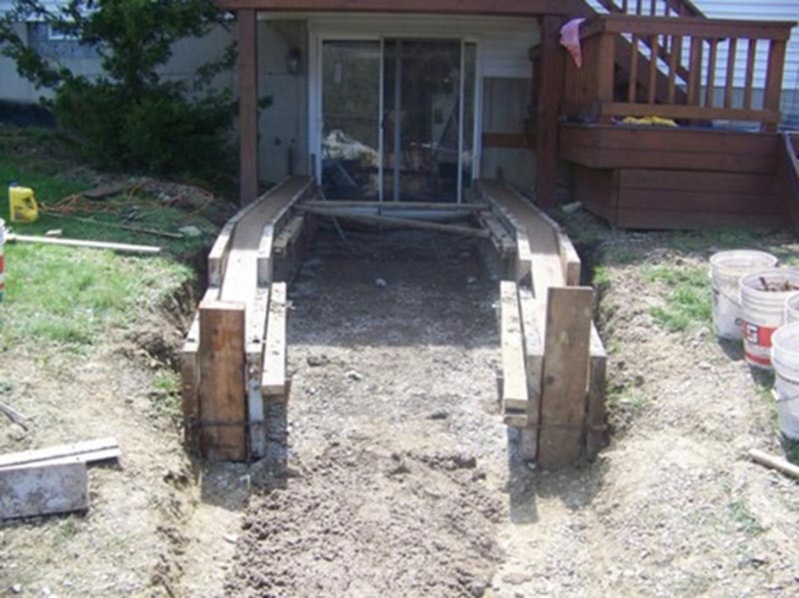 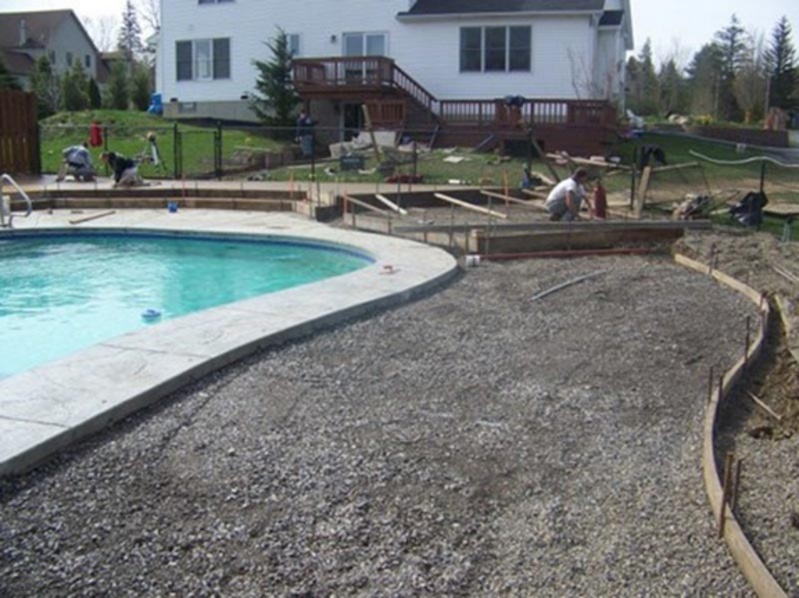 Formed and poured new retaining wall for new walkway leading to pool area. 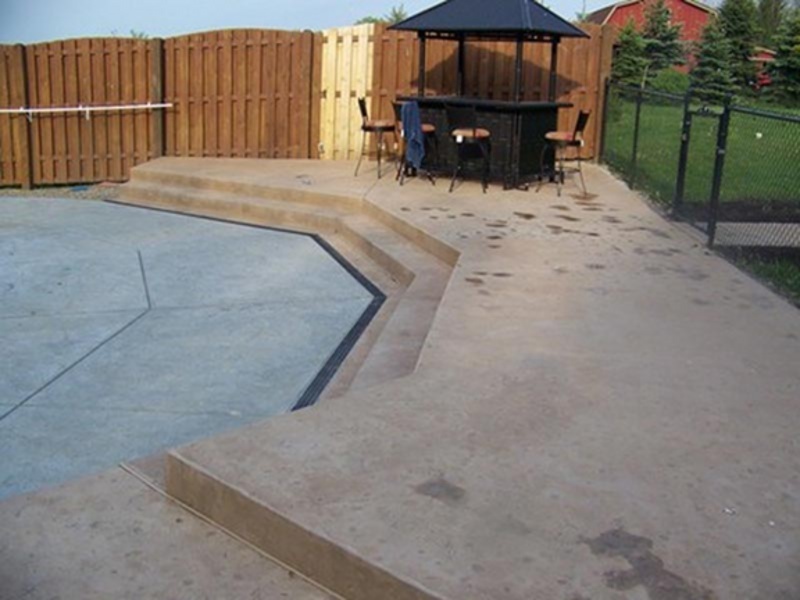 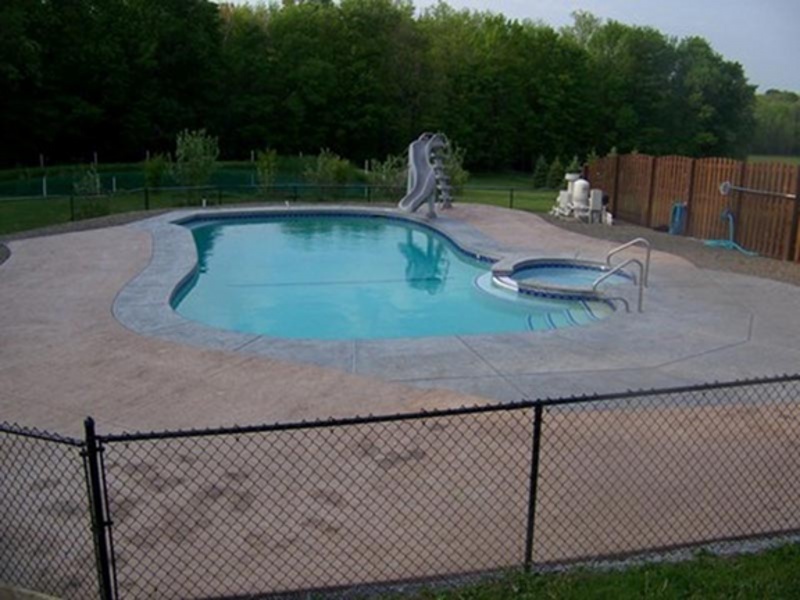 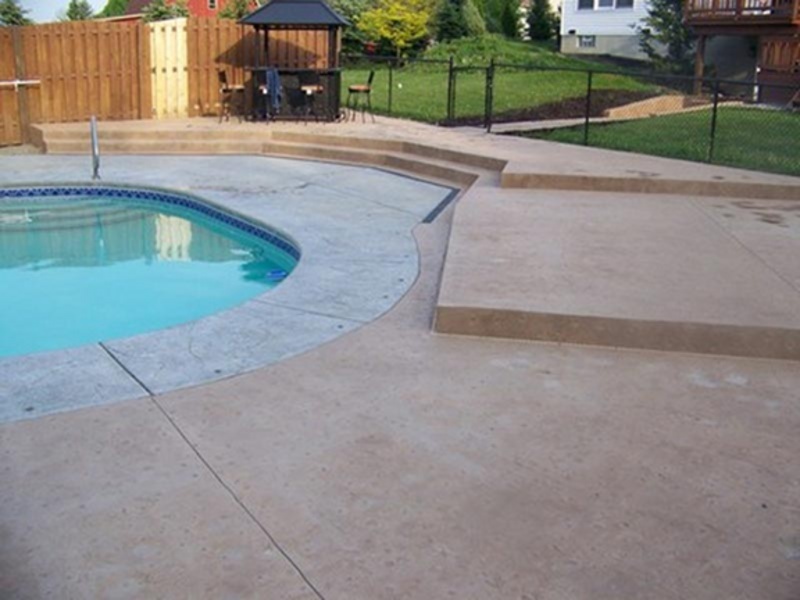 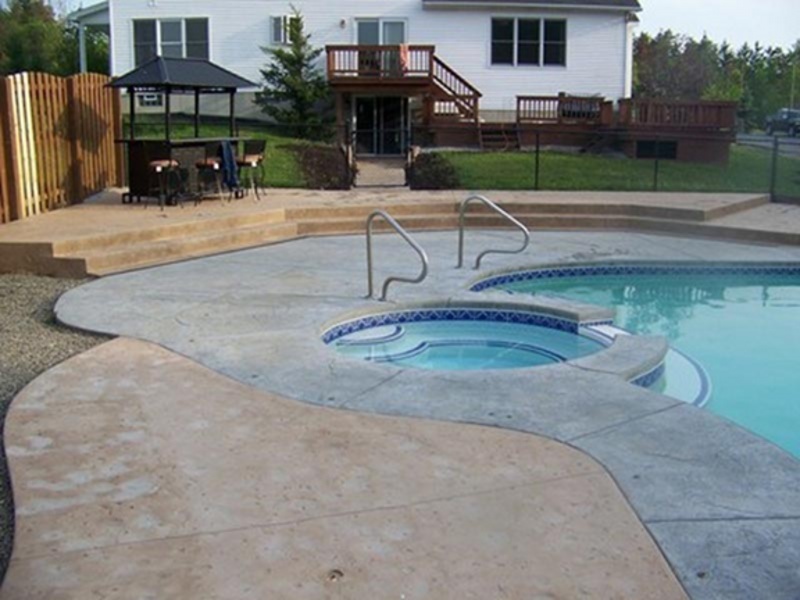 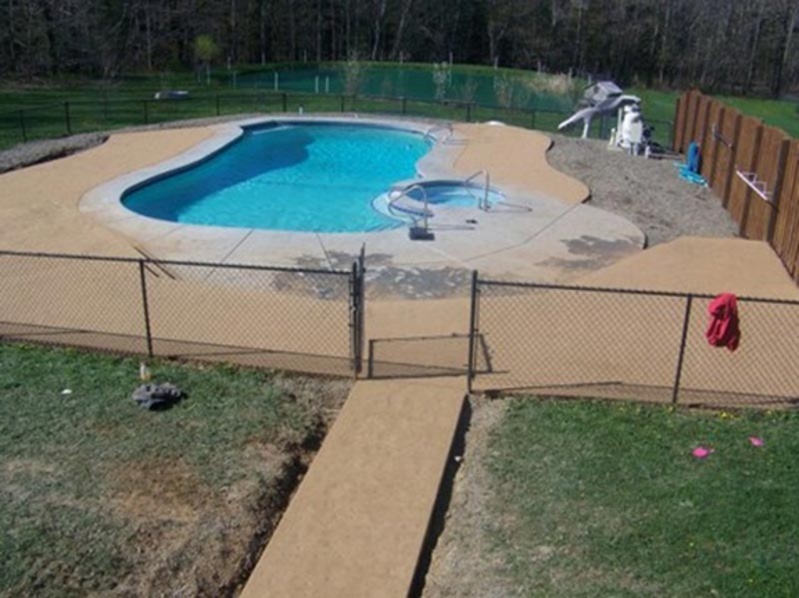 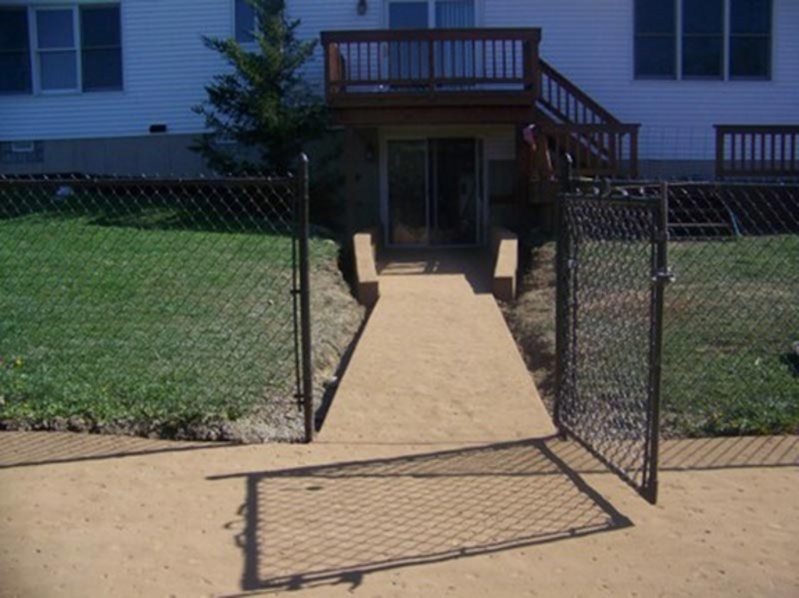 Beautiful new patio and pool deck for lots of summer fun and entertaining!